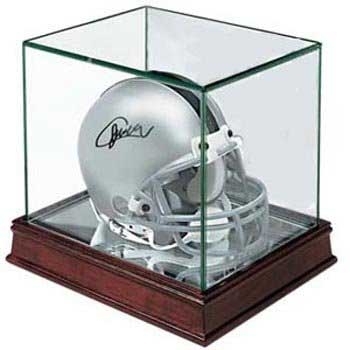 Mini Helmet case is the perfect case for your autographed helmet. Constructed from double strength UV protected glass and accented with furniture grade molding, this case is unlike any other. Mirrored on the bottom and back to give your helmet the attention that it deserves. Inside dimensions are 7.75" x 5.25" x 5.75". Football mini helmet is not included.